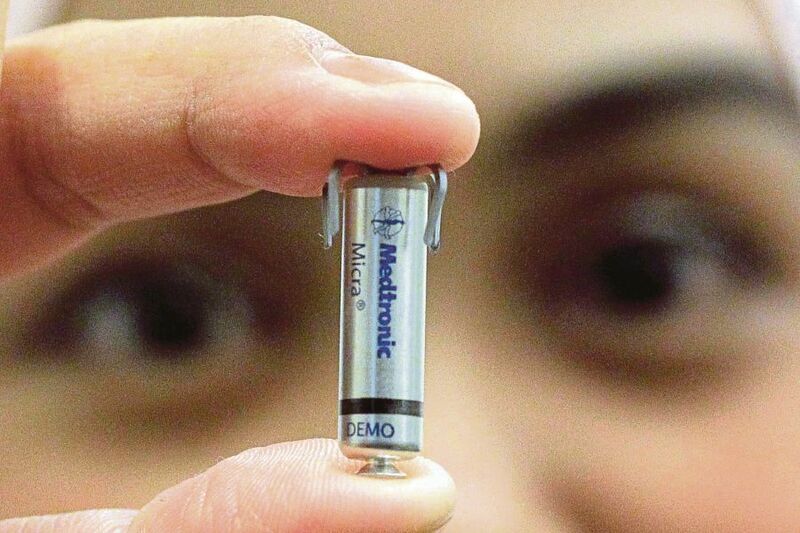 KUALA LUMPUR: The National Heart Institute (IJN) will be the first hospital in Asia Pacific to conduct first-in-man trials the Medtronic Micra Transcatheter Pacing System (TPS), which is used to treat patients with abnormal heart rhythm or also known as bradycardia. TPS is the world smallest pacemaker to help restore the heart’s normal rhythm and relieve symptoms by sending electrical impulses to the heart in order to increase the heart rate of the patient. IJN chief executive officer Datuk Seri Dr Mohd Azhari Yakub said with this approach, patients with bradycardia can now undergo heart treatment without any major surgical procedures. “In partnership with Medtronic, we have now able to come out with a cutting-edge procedure that completely eliminates major surgical procedures in treating irregular heart rhythm condition. “TPS does not require leads or a surgical ‘pocket’ under the skin, so potential sources of complications related to such leads and pocket are eliminated as are any visible signs of the device. “This is a new type of heart device, which provides patients with the most advanced pacing technology at one-tenth the size of a traditional pacemaker, which is equivalent to the size of a pill capsule,” he said. IJN clinical director (Interventional Electrophysiologist and Implantable Devices) Dr Azlan Hussin said back in 2015, IJN had launched its first generation TPS system that is only be functional for the lower chambers of the patient’s heart. “Compared to the first generation version, this second generation TPS can work for both upper and lower chambers of the heart. “To date, IJN has implanted more than 200 first generation TPS, and 20 of them are now implanted with the second generation TPS under IJN’s clinical study. “The result of the clinical study for this second generation TPS will be announced by the heart society Boston this May,” Dr Azlan told the press conference Monday. IJN has also been announced as the first cardiac treatment centre in Asia to implant the investigational Attain Stability Quad MRI SureScan left heart lead to help improve the lives of people with heart failure. Also present at the event were IJN chief clinical officer Dr Aizai Azan Abdul Rahim, IJN consultant cardiologist Dr Surinder Kaur, and Medtronic director (Physician Relations Cardiac and Vascular Group) David Cleghorn.